The fresh and soft tones teamed with matching bed linen and smooth wooden lines invite couples into a haven of romance and tranquillity. This exclusive suite is set in a beautiful, peaceful corner of the hotel. The open-plan design perfectly connects the bedroom area with the spacious living area, which in turn opens onto a private terrace. 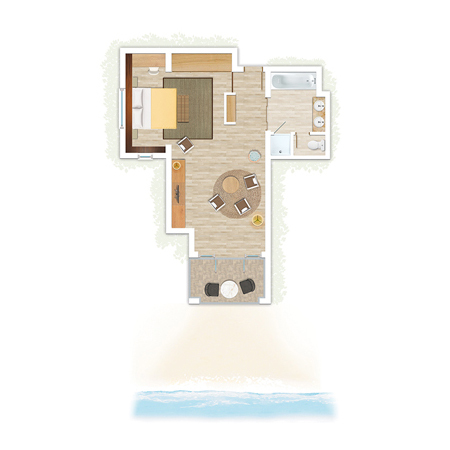 Flooded with natural light, this suite overlooks the sea and a string of intimate bays.